Over at From the Sorcerer's Skull, Trey has posted about small-scale mystery sandboxes. This is a thing that several of us in the online Nightwick group have often discussed. Infamous artist, blogger, and Star Trek aficionado Huth has a kind of dream campaign he says is based off the structure of Junji Ito's Uzumaki. Since he has not done a post on it - despite several requests - I've decided to tackle the issue myself as best I can. 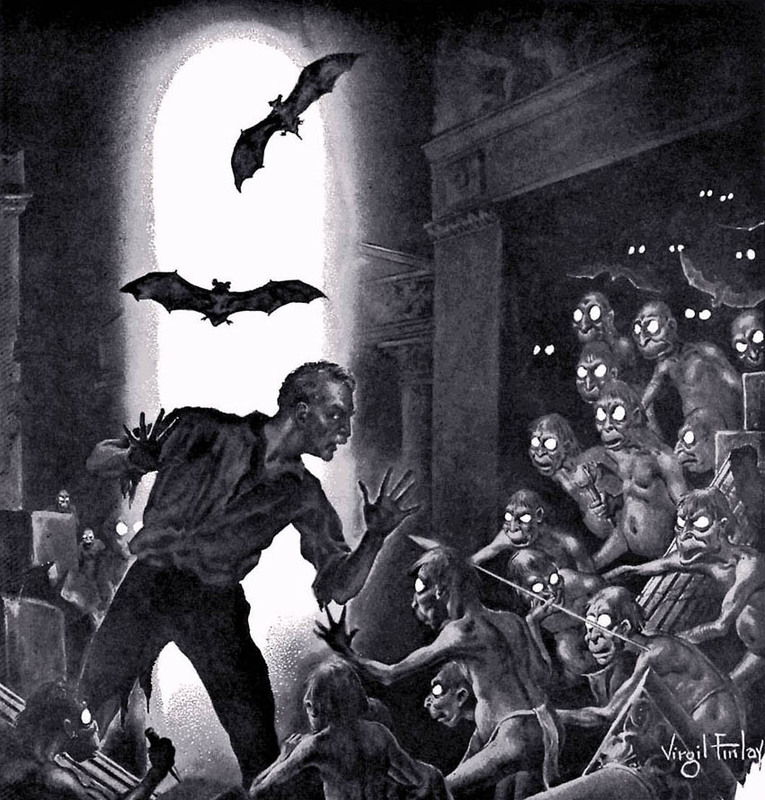 The idea is that the weird happenings in a small town are based around what Huth refers to as a "core phenomena" - a weird thing that causes the secondary weird things the PCs investigate and lends them all a loose theme. 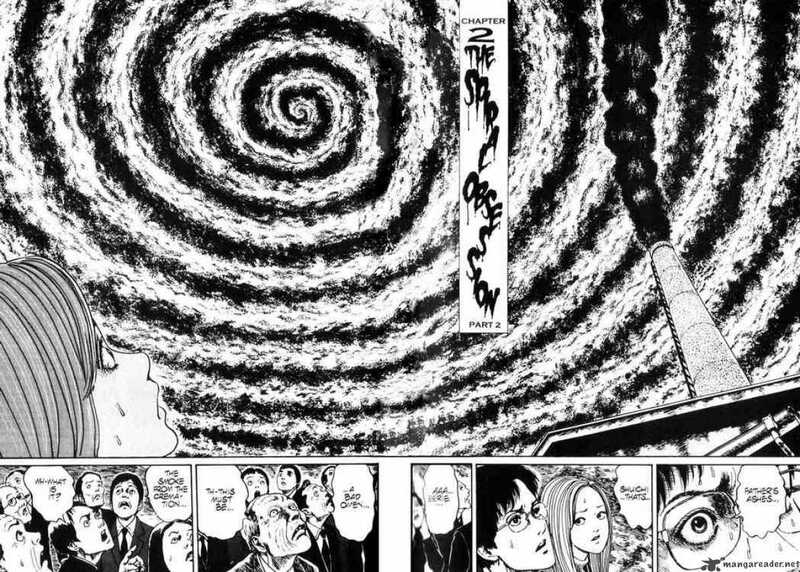 In Uzumaki this is the town's connection to a "spiral curse." In Twin Peaks this would be Bob or the Black Lodge. It is the innermost layer of Sandy Petersen's proverbial onion from the Call of Cthulhu corebook. Deciding what the core phenomena is is the first and probably most important step to setting up one of these types of campaigns. The core phenomena should provide a loose theme for all of the sub-mysteries. I say "loose" because I feel like if you make it too thematic you will end up in a straight jacket. 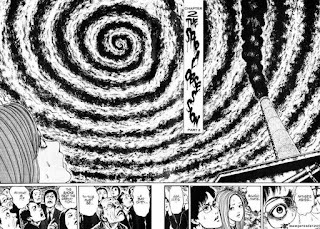 The Spiral Curse in Uzumaki provides for a wide variety of bizarre effects including people merging together and mosquito-women. The spiral is involved conceptually with each, but its a broad enough concept that it can work for multiple things. The core phenomena would ideally provide a kind of mini-apocalypse that destroys the mini-setting in some thematically appropriate way. All of the sub-mysteries hint at the nature of the core phenomena and when the core phonemena is revealed its conflict with the characters will destroy the setting either literally or by removing the threat. This apocalypse could be an actual destructive event (like in Uzumaki) or it could be something more subtle. Take for example the town of Deer Meadow in Fire Walk with Me. The guys at RLM convincingly argue that Deer Meadow is what would happen to Twin Peaks if Bob's corruption is allowed to spread throughout the town. It is not something that would make the news in the way Uzumaki's does, but it is its own kind of apocalypse. The structure of such a campaign beyond the core phenomena is perhaps the biggest sticking point between Huth and me. Huth has tried on a few occasions to do one where everything is a big web of relationships. The sub-mysteries all occur simultaneously and the sandboxy nature is enhanced by the players being able to access any part at any given time. It most closely matches the circular model of dungeon design described by Melan (though with facts instead of corridors and rooms). This sounds great, but each time I have seen him attempt it we floundered and spun our wheels. Perhaps mastering this would be the best form of the game. The half-assed version I would argue for is closer to Melan's "branching" dungeon, but in reverse. Each component part is fairly linear with a couple of branching paths that connect it to neighboring mysteries (just one or two so that the connections don't get too crowded). All of the branches are accessible at any time but they are ultimately a line pointing to whatever layer of the onion they uncover. This should be less work for the GM while still getting the overall idea of the campaign across. I have wanted to try such a campaign with my Lerouxville setting. When I ran it long ago I had not hit upon the idea of the core phenomena nor read Uzumaki. I think it suffered as a result, but since I'm currently in the midst of a Nightwick Abbey game and am running a location hopping Delta Green game for my home group, it seems like it might be a while before I can try my hand at a better version.